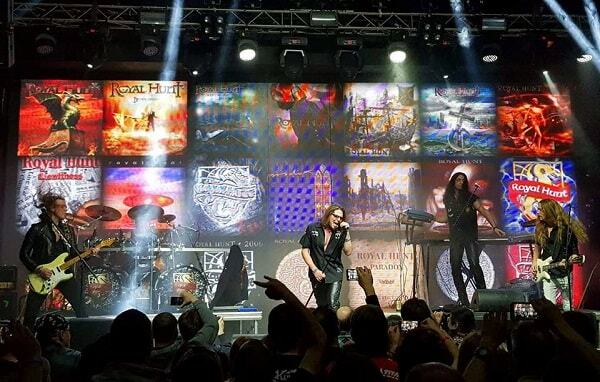 André Andersen: "This album took a while to complete… mind you, between the very first idea and until the final mix we did two tours and released two live-albums… so this one´s been in the making for quite some time. In a way it´s been very practical: you could work on it for a while, than go on doing something else and then come back later to re-evaluate what´s been done before. 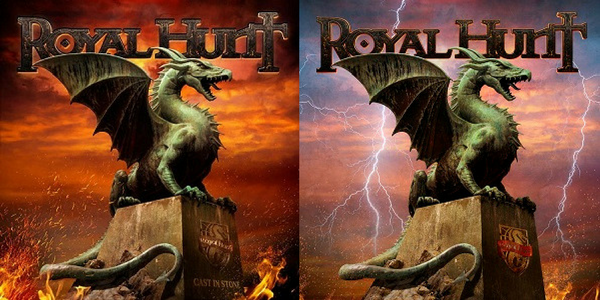 As a result all songs on the album are solid and well crafted, showing every aspect of Royal Hunt today: originality, catchy hooks, strong melodies, great musicianship and larger-than-life production. On that - the production - we definitely did quite a job: all the vital recorded parts were done in analog as well as the final mixing/mastering so there´re no “loudness wars” in-sight; no brickwall limited, over-compressed, lifeless wall of sound… the album breaths just like a real rock album should. I could also go on for hours praising everybody´s contribution – musicians and singers alike - but as my opinion will inevitably be very biased, I would prefer to leave the final judgment to you… after all this album´s been made for you to enjoy (although we´re enjoying it immensely ourselves at the moment)"
Press about "Cast in Stone"
To all of you around the world - Merry Christmas and a Happy New Year!  Once again we would like to thank our fans. 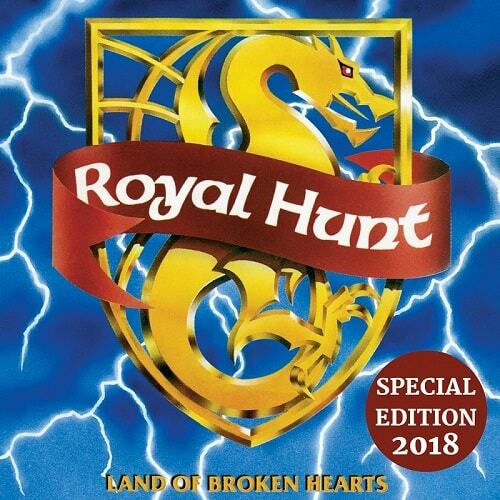 We're excited to present the re-mastered version of our debut album – "Land of Broken Hearts" (Special Edition 2018) out on the 15th of August (NorthPoint Productions). 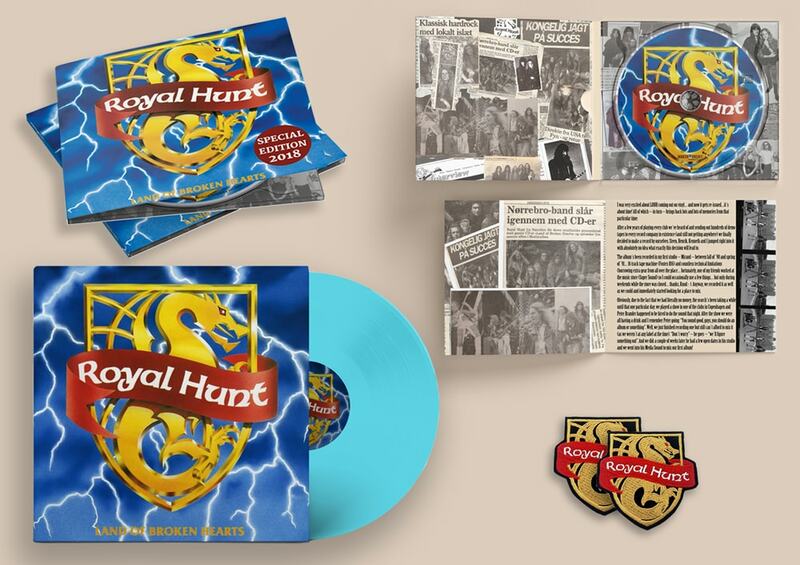 It includes an extended booklet with rare pictures, “the making of” – story written by André Andersen, 4 bonus tracks and one previously unreleased song (recently restored/re-recorded). "Land of Broken Hearts" has previously been released on vinyl (Night of the Vinyl Dead). 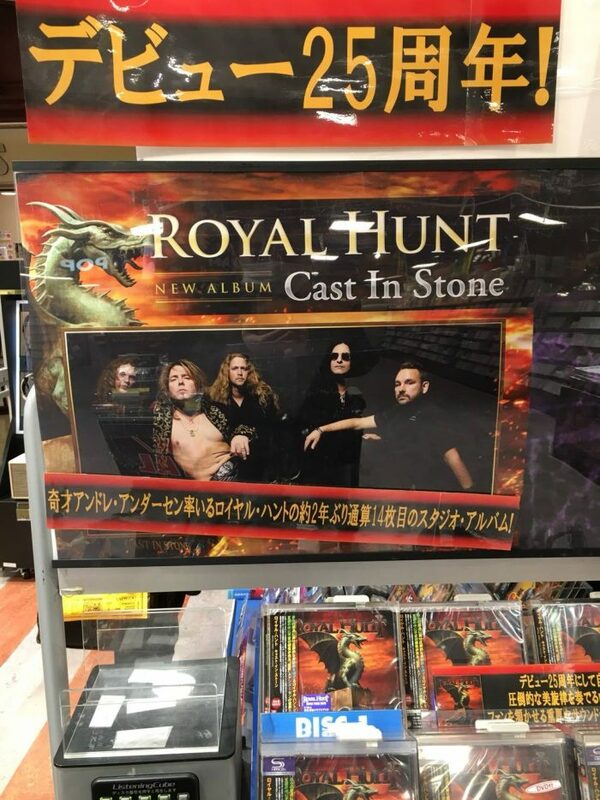 André Andersen and DC Cooper talking about Royal Hunt's new studio album "Cast in Stone" at King Records, during the promotional tour 2018 in Japan. Hello, we're in Copenhagen, Denmark right now rehearsing for the upcoming shows. Hope to see you next week! The release date is finally here, so while your physical copy is on the way - why wait any longer? 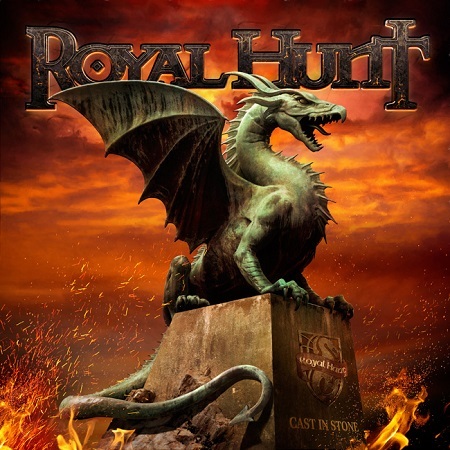 Log in to get your free download of the album right now in the store - royalhunt.com/store (You should be able to see the downloads after logging in). As you can see...we also prepared a special dish for the release party... While “Cast in Stone” keeps getting fantastic reviews across the board we´ve been made aware of the fact that its darker, deeper sound we chose to use this time might not come across clearly enough while played on some less advanced sound systems (and maybe not all of us love that warm, analog-tape-based sound), we decided to include a lighter/slimmer mastered version of the album as an extra bonus for all who order from us directly. Enjoy! First copies have arrived and we will begin to ship them right away. 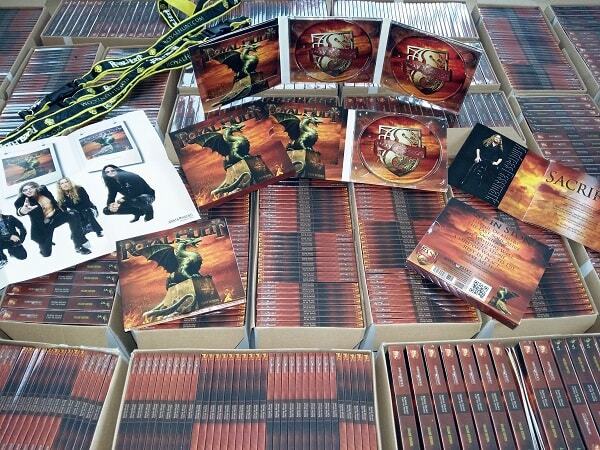 All digipaks and box sets look great and are soft-touch, which is a great bonus for all who order a physical copy. Yes, we've been trying to please all kind of senses - sound, sight and touch - so next release will probably taste good and smell delicious. Hi we're in sunny Copenhagen, going' to shoot a video tomorrow. We've been discussing a setlist for the upcoming shows in April, would you write your suggestions? 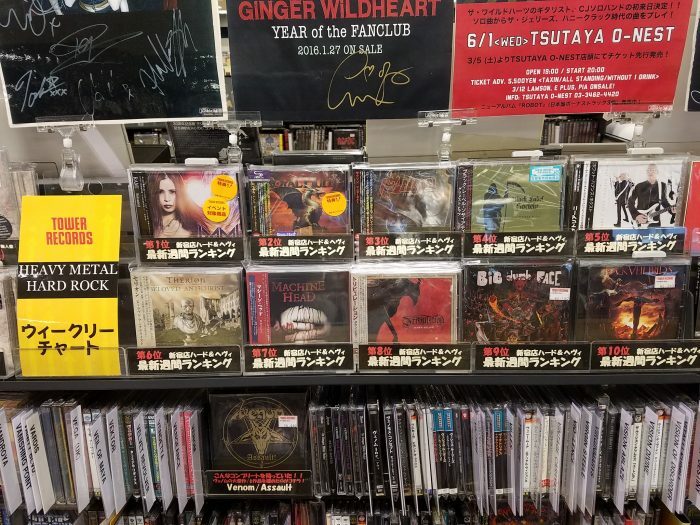 Quite unexpected but true - those who supported the release by ordering a name in the liner notes will find his name not only in the EU / NA edition, but also in japanese / asian. Our partners - japanese record label King Records are so cool - they added you to their booklets too.